This simple Information technology trade schools review for technology students. Technology is a fast growing carrier in the world. Can you imagine this society without the technology?. Everyone have a phone, television. These are simple technology gadgets. Because our living, our needs and daily activities hardly connected with technology. So technology stream education is never going you to down. When you start technology carrier first select what you’re interested. Technology schools have different program under the technology title. See below some little programs. Do you know about whatsApp co-founder story? 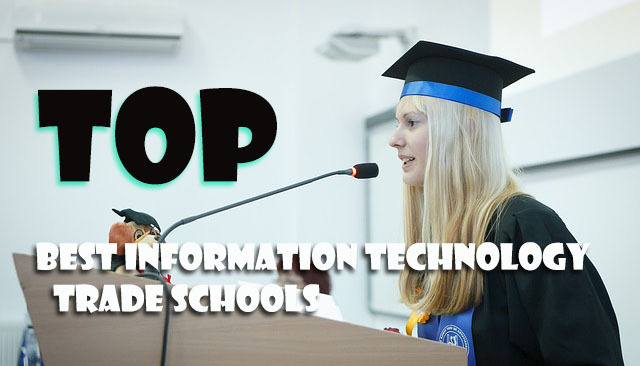 I researched about best information technology trade schools. Then I make a list of Information technology trade schools. For this I collected information through the internet and technology forums and user experience surveys. I didn't add the full information.So, if your interested in this list then visit the original website for more detailed information. A private nonprofit based in Florida. Address: 1500 NW 49th St, Fort Lauderdale, FL 33309, USA. Undergraduate tuition fees: 16,936 USD. Address: Building A10,1000 fremont Ave, Alhambra, CA 91803, United states. Undergratute tuition fees: 14820 USD. For-profit university in Phoenix, Arizona. Address: 3300 W Camelback Rd, Phoenix, AZ 85017, USA. Address: Church Rd, Ehrlich Park, Bloemfontein, 9301, South Africa.